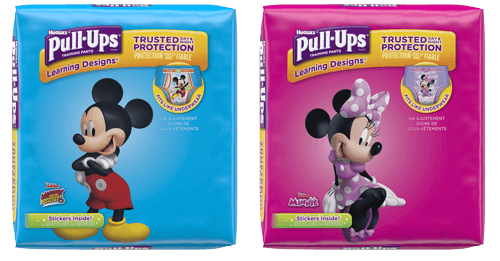 Former Pull-Ups® Potty Training consultant and stay-at-home mom Julie Anaya offers real-life insights about creating an effective system for potty training. We talked with her about toilet training and the steps she took to ensure her toddler felt like a Big Kid. Every parent knows that the potty training process is not something you can approach blindly or with the expectation that your child will be toilet trained in a week. Potty training involves having a system in place before you begin that includes finding the right tools, researching information on the topic, obtaining support from family and friends, and being prepared as a parent to hang in there for the eight to ten months it will most likely take. Start by being realistic in terms of expectations. Involve children in decision-making to motivate them to stick to the potty training system. Understand that successful training should be approached with consistency and patience. Know that every child is different and some children take longer than others. Know that it takes eight months on average to potty train a child. Identify those who will be a support system — spouse, family and friends. When she toilet trained her first child, Julie did some research to find out everything she could about toilet training. She also suggests tapping into websites that give parents useful tips for every parenting stage, like www.Pull-Ups.com, which has useful sets of activities and resources that help parents identify what type of potty trainer they have and what stage their child is at. Books, magazines and advice from other moms also help give you guidelines on potty training dos and don’ts. Throughout the process it’s important to coach children with praise and hugs, as well as other rewards. Julie and her husband rewarded their kids with stickers and small toys. However, every child is different, so choose rewards that relate to and motivate your child. We made going to the store to pick out a potty seat and their own disposable training pants big events.